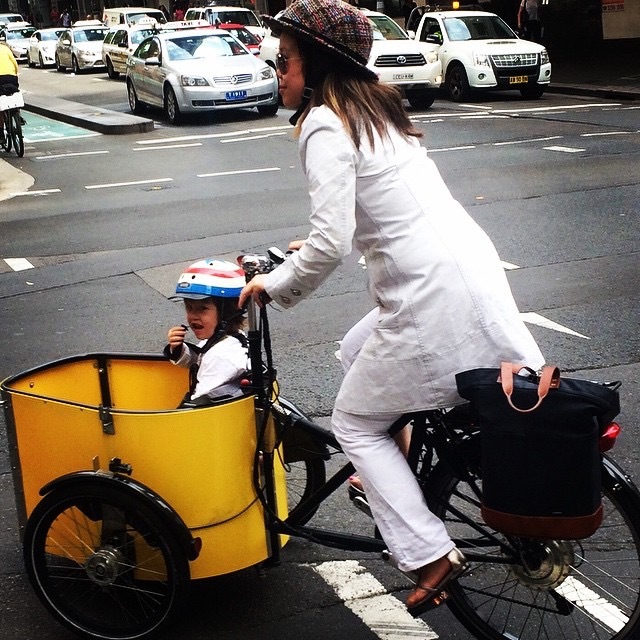 I decided to start this blog in January 2015 because people were always commenting on my attire while on my bicycle. I think it’s possible to ride and look elegant without needing special “bicycle clothing.” My goal is to encourage more people to bicycle for life and with style every day. I ride to work daily. 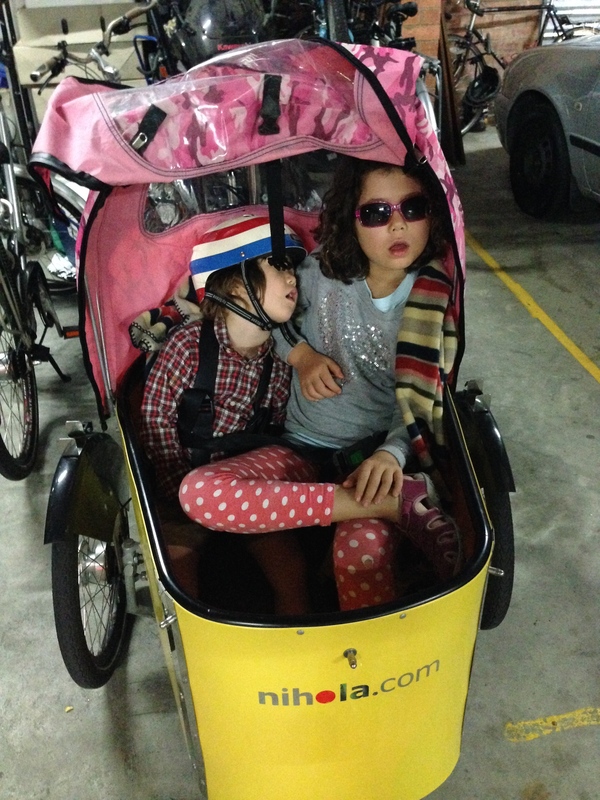 I used to drop the kids off at school and childcare with our Nihola, a cargo tricycle. Now, that both kids are in school, they either walk or ride to school. They need the exercise just like me. We still use the Nihola to go grocery shopping and to music lessons on Mondays. During the hot summer here in Sydney, I ride an electric motor bicycle. I have to pedal or I run out of power quickly. Most importantly, I ride the e-bike in summer because the motor gives me a little boost and I don’t get too sweaty. Consequently, I don’t need to change clothes but I do get exercise. One of my favourite summer dresses! I’ll be including the brands of clothing, shoes and accessories that I wear everyday to show you, Dear Reader, how possible it is to wear your everyday clothes. Just to let you know, I am a bit of a clothes horse but I ride everyday, even in the rain. After all, I’m not made of sugar! In the winter, I bicycle. 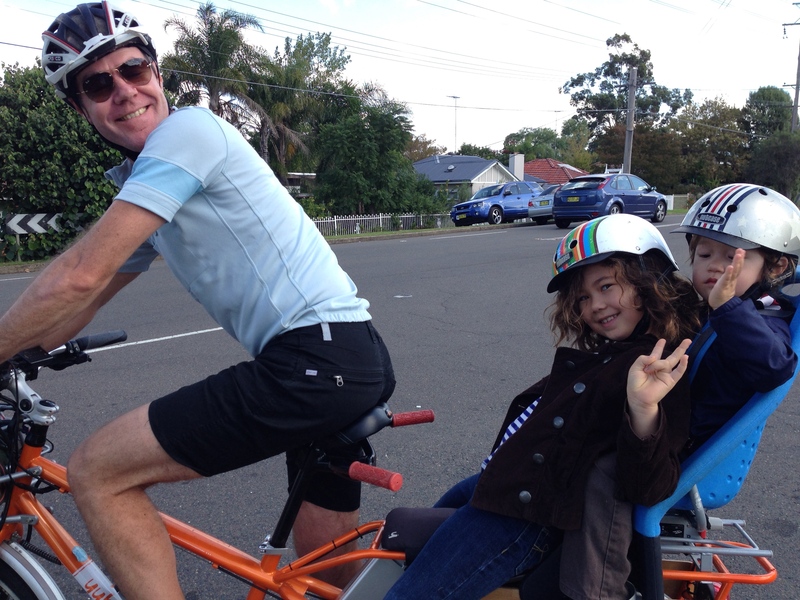 The snow doesn’t come to us here in Sydney but it is cool enough to ride a push bike comfortably. The change in seasons is enough to show a change in clothing. Since my days on the Giant, I’ve upgraded to a Gazelle Cityzen urban bike which is wonderful! The Gazelle Cityzen is a sweet ride! 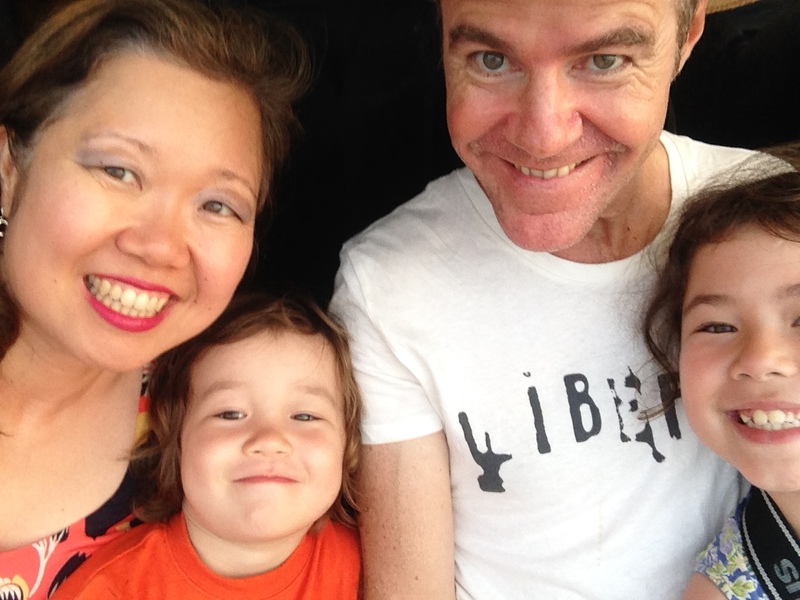 I live in Surry Hills, which is part of inner-city Sydney, with my two children, Ofelia and Julius and my husband Justin. Justin also rides daily. 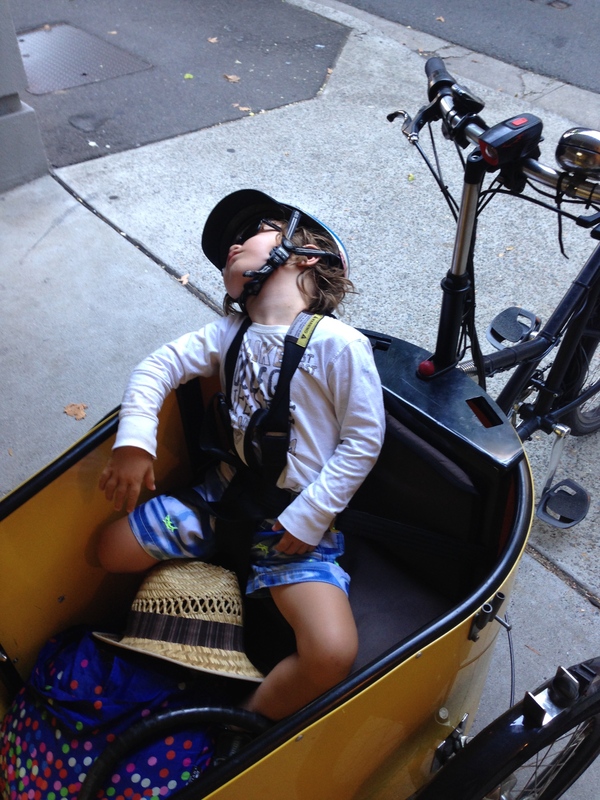 He has a Yuba Mundo cargo bicycle which he uses to carry the kids. Justin and the kids on our Blue Mountains adventure. I’d love to hear from you especially if this blog has helped you to start riding more for every day. 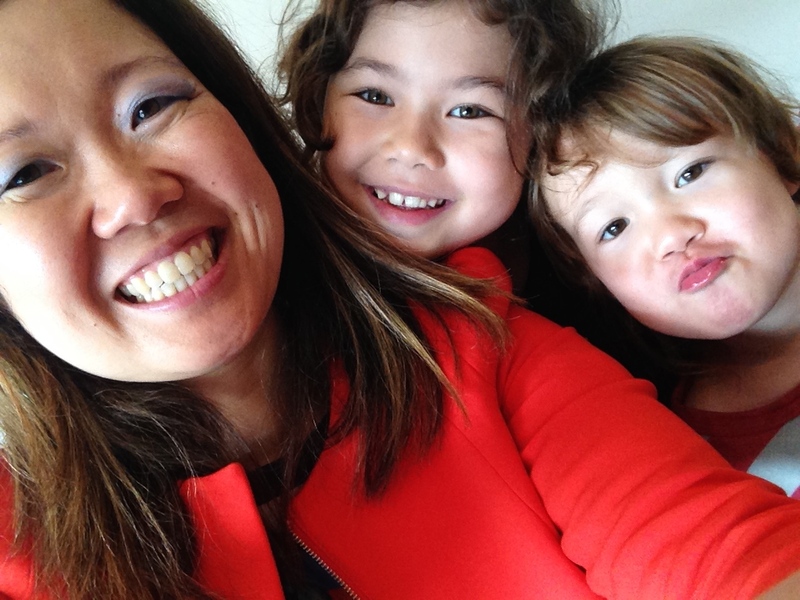 If you have questions or comments, please drop me a line in the blog or email me: sarahhyimm@gmail.com. Hi Gary, if you have Twitter, please send to @velaporter. Your blog is awesome, I hope you continue. The photos are especially great – how do you get photos of yourself riding? What a houdini-move! I can’t figure it out. Have fun! Your blog is awesome, I hope it continues. I can’t figure out how you get photos of yourself riding though – what a Houdini-move! Enjoy! I shall leave you with that mystery but it relies on the kindness of strangers, mostly! And of course, my husband Justin. Hi Sarah, I heard you on the bike show on 3CR on Monday, good job. Thanks Carl! It was super fun. What did you like about it the most? Only just discovered your blog but I know I will want to keep coming back! Just started following you on Twitter – is there an easy way to know when you post a new story? Twitter/Facebook updates or similar would be great! Would you mind sharing how many kilometres you average on your daily commute? Hi Sangua, ironically, I’ll be writing about that next week. It varies between 6-19km. I look forward to reading about that next week. I’m considering taking up bike commuting and knowing how many kilometres you cover in normal clothes will be very useful information. Hi Sangua, I’ll be giving a talk on “How to Bicycle with Style” as part of the Sydney Rides Festival 16 Oct at the Powerhouse Museum. Please come if you are in town! It varies between 8km to 20km. Congratulations Mayor! Very excited for you and what a lovely to surprise to accidentally stumble across a photo of your stylish elegance on two wheels! Hope for your continued success.